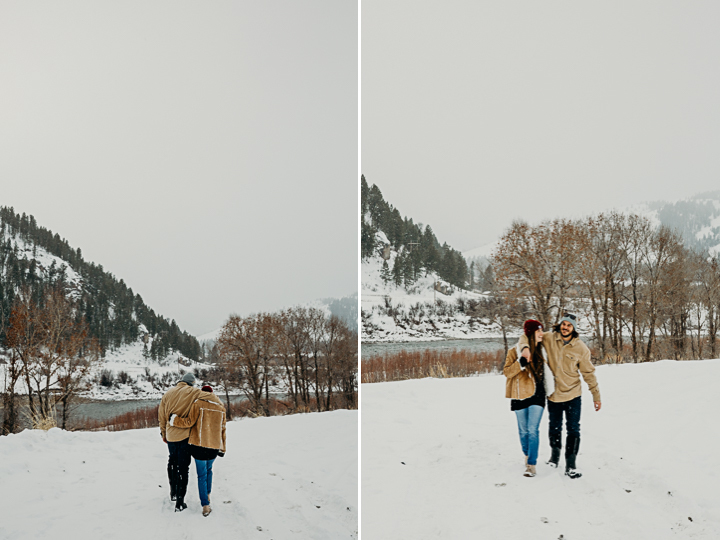 Tips for Cold Weather Photoshoots | Erin Wheat Co. In the past few years, I've lived in Maine, Vermont and Jackson Hole. As we work into the final week of February this year, we're about to pass 400 inches of snow in Jackson... so... you could say I've gotten pretty good with make-or-breaks of working in the cold. 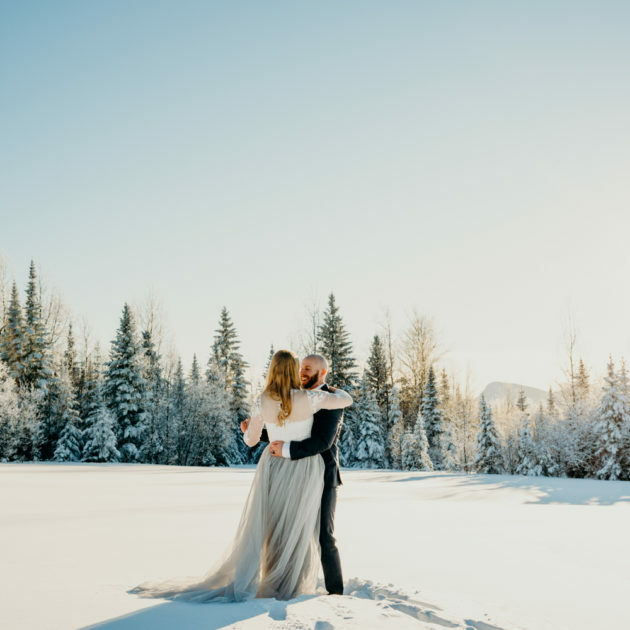 I've shot more than 5 elopements this winter that had temps in the zero or less-than range which definitely means that a shoot, elopement, or wedding have some crucial necessities in order to keep everyone happy, healthy and make sure our final product is the best it can be. -Heat packs. These are my number-one basic necessity. I’m one to hold-out and try and make it as long as I can without using them but they last forever and are something I keep in my truck, med kit, gear back, just about everything. You can buy them in bulk here. -Style- it goes out the window. I’m serious, chat with your clients and make sure they know or you ask that they’re okay with you coming in the most practical clothes you can. You want to be sure that your own comfort doesn’t interfere with your focus on your images! -Finger-less mitten-gloves. Yeah, super stylish, I know. But, these babies are a life-saver for me. I pop back the mitten part and work with gloves, and then as soon as we pause, the mittens help rewarm fingertips! -Extra socks, med kit & clothes. Always be prepared and make sure that in the rare case something comes up, you have backup supplies to make sure that you can help. I always have these with me (one of the few times my over-packing comes in handy!). -Batteries in my bra. Seriously, I do this every shoot outside summer months. In cold temps, the first thing to go tends to be camera batteries, so I charge up a bunch and keep them in my bra to help them stay warm. That way, if my camera says “nope” and turns off, I can quickly replace the battery and get back to work. If you’re not a bra-wearer, well, find another area close to your body to store those babies! -Oh– and make sure your clients know why you’re digging around in your shirt, it tends to look a bit funny. -Get-to-know each other in a cafe before the shoot, or in the car so that you can get right to it once you’re in the elements. It’s also super important to work into it, and get-to-know one another so prioritize a way to make that happen! -Nail your timing. In warmer months, I tend to work in longer time-frames since it’s easy to do and it allows us more time to work into the best images. 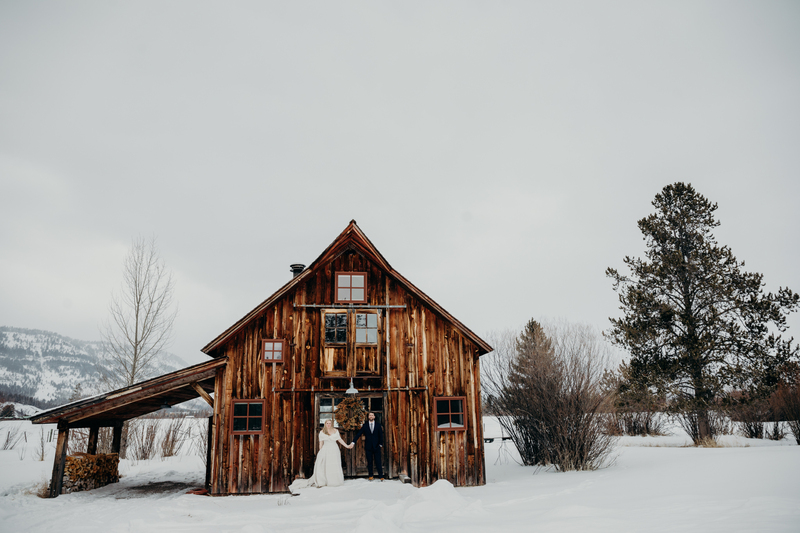 In the winter, you want to know exactly when you want to be shooting so that you can keep things as brief as possible and everyone comfortable… while also getting the best work possible. – Heat packs. Seriously, these things are just great for everyone. Pop them in shoes or anything else that your outfit will accommodate. They last a long time and can really help. Get a bunch here! – If you’re wearing a dress or skirt, get those leggings on! 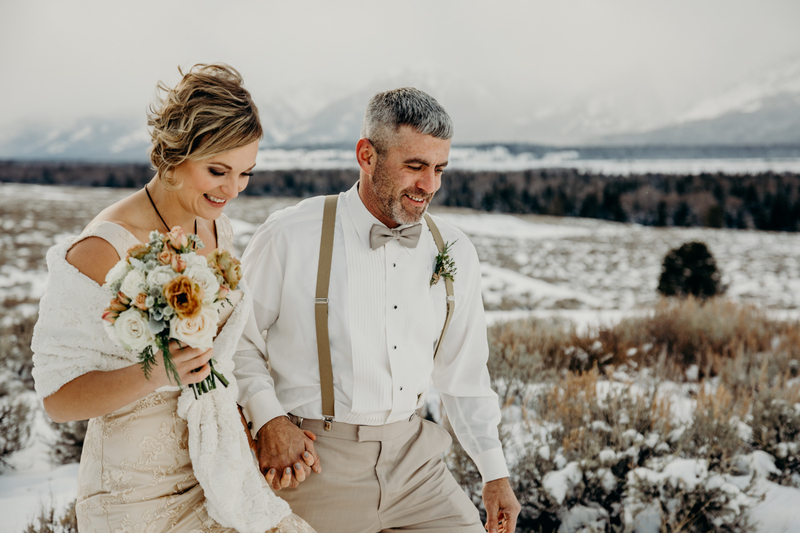 At this point, you can find them in just about every color and fabric imaginable so find a pair that don’t affect your outfit and will also help to keep you warm. Cold wind, snow and bare legs do not mix well. 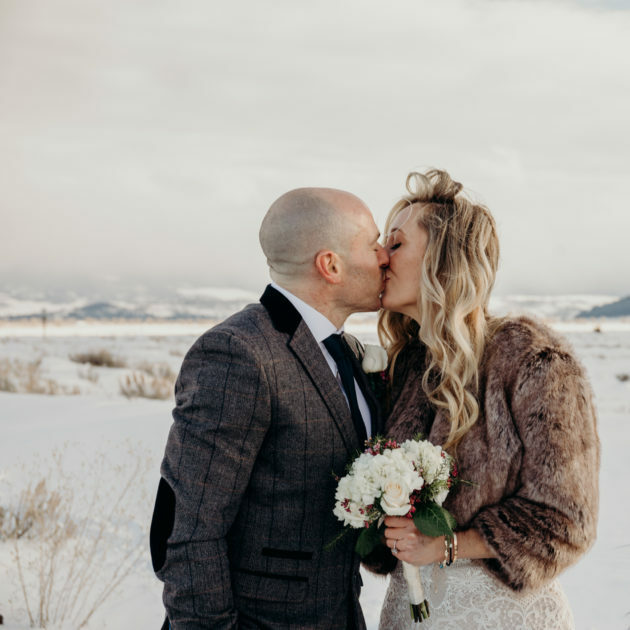 – Bring extra layers– even if you don’t plan on wearing your puffy down coat, or your furry hood, or just about whatever… having them on-hand is a huge help. As soon as we pause to rewarm, you can layer up to avoid getting colder and hopefully help warm up in the process. – Car warm-ups. Usually I try and advocate that we reduce idling, but in these cases, health is more important to me. When you find yourself getting past your point of tolerance, warm up in the car. More breaks will mean that we can actually shoot for longer in the grand scheme, so I’m all for this. – Hot drinks are an amazing prop. I always encourage folks to add their favorite things into shoots so we can be sure to capture who you are in your lives. Hot drinks are a great way to have something to work with but also help boost core temps. Apple cider, hot cocoa, coffee, or adult beverages are all totally cool with me. (Remember, alcohol doesn’t actually warm you, it just makes you feel that way, so be reasonable!) Plus, hot drinks are a great core warmer which can be great. When you get cold, naturally we tense up and become more stiff which tends to show in images, so this helps avoid that! – Don’t let yourself get past cold. Seriously, this is crucial. There’s definitely a fine line between practicing tolerance and taking that too far. If you let yourself get past the point of chilled, it can be nearly impossible to get yourself back to a comfortable place. When you reach that level of discomfort, it’s hard to conceal in your emotions and body, and it’s not safe, so avoid that! In the midst of giant snowstorm in February, and honestly, I have no clue what the temps were other than cold. The horizontal nature of the snow speaks to the windchill! Mid-January in northern Vermont with a high of 3º and a wind chill far below that! 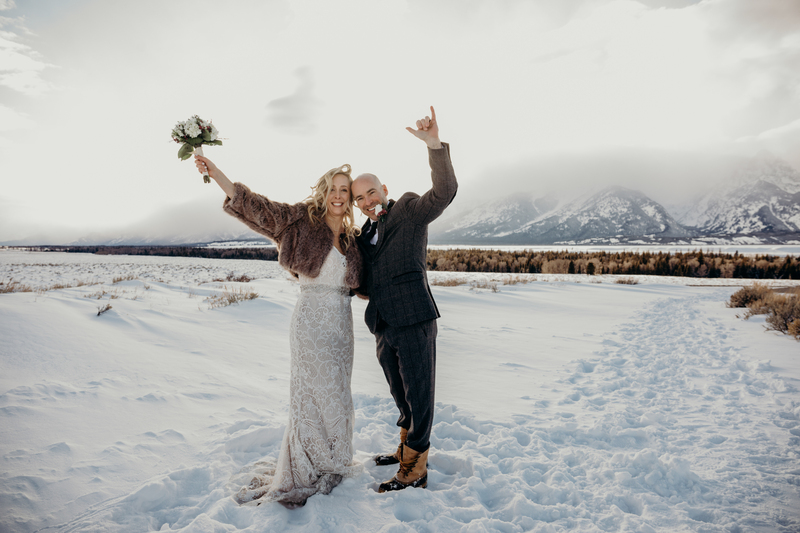 These two eloped in Grand Teton National Park during March. The park is one of my favorite places in the world to work, but to say the wind doesn't blow on the Snake River valley would be a vast understatement.